This show broadcasts LIVE 8 to 10 pm Eastern Friday, December 22nd at FreedomSlips.com - click on Studio A - then gets archived about 24 hours later. For only $4 a month you can listen to shows on-demand before they are broadcast - and also get free downloads. Help me keep these shows on the air – Click HERE! 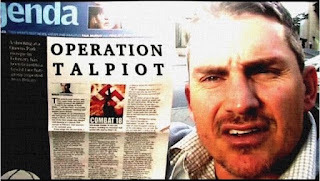 This episode of Truth Jihad Radio features two "wonders from Down Under" – Australian New World Order researcher Peter Myers and Aussie-born political prisoner turned refugee Brendon O'Connell. These two guys do their country proud – and help redeem Australia from the ignominy of abstaining from the landslide UN vote against Trump's Jerusalem fiasco. 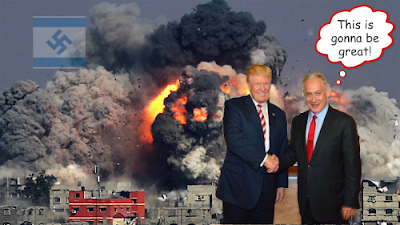 "Now that the Islamic world has rejected the Jerusalem announcement, Noam Chomsky's claim that Israel is merely a regional sherrif, through which the US controls the Middle East, is seen as patently false. Chomsky is the leading Left-wing denier of the Jewish Lobby. Through his repudiation of the Mearsheimer-Walt thesis, he has facilitated the Lobby's ability to operate with little scrutiny or publicity. Chomsky appears to have made no statement about Trump's Jerusalem announcement. It's not only the end of the MidEast peace process, but the end of Chomsky's credibility." Second hour: Political asylum seeker Brendon O'Connell was just released from a New Zealand immigration prison, where he had been languishing in atrocious conditions since October. He is now a free man in Malaysia, and ready to reveal the horrific details of his ordeal, which was worsened due to his witnessing official complicity in drug smuggling by New Zealand immigration authorities.